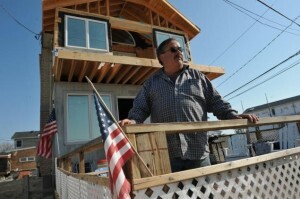 Two years ago, Super Storm Sandy made landfall in Brigantine, New Jersey and even now recovery efforts persist. So great was the damage done to the Jersey Shore (in excess of $68 billion by most estimates) that several government funded measures and programs have been implemented in an effort to minimize the damage caused by future storms. 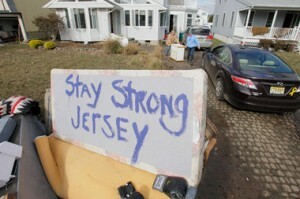 These programs aim to reduce the rebuilding costs and ensure the safety of residents during and after future disasters. One of the leading ‘damage mitigation’ programs offered by the Federal Government is the Hazard Mitigation Grant Program (HMGP). This FEMA administered program, authorized under Section 404 of the Stafford Act, provides grants to both local and state governments to help shoulder the cost of implementing long-term hazard mitigation measures. The overarching goal of HMGP is to protect citizens and their property in the event of natural disasters and to enable mitigation measures to be conducted expediently during the disaster recovery process. To work toward this goal, there are several HMGP contractors working with clients in the effected regions. The money awarded by the HMGP are used to fund projects completed by HMGP contractors that aim to reduce financial and human losses of future disasters. For example, a home elevation project to reduce the risk of flood damages would fall under the blanket of efforts covered by the HMGP. In order to qualify for HMGP funding, a project’s potential savings must be more than the cost of the project and must protect either private or public property at risk of incurring repeat damage. So a project that costs two-thousand dollars to complete but stands to save the property owner tens of thousands of dollars in potential future damages would qualify for funding. Following a declaration of disaster, any state participating in the HMGP is required to advertise that HMGP funding is available to fund hazard mitigation projects in the state. Anyone looking to take part in the HMGP should contact their local government to begin the application process. Those who wish to apply for HMGP funding are encouraged to do so as soon as possible after the disaster so that opportunities to perform disaster mitigation are not lost during reconstruction. The state is responsible for setting a deadline for submitting applications and selecting eligible projects. Those interested in HMGP should contact their State Hazard Mitigation Officer for specific application dates and details. Eligible projects are forwarded to the Regional FEMA Office for review and to ensure compliance with federal regulations. The time required for review varies depending on the complexity of the project, but often takes between 2 to 6 weeks. Upon successful review, a HMGP contractor may begin working on the the project. Penn Jersey Development Co. is one of central New Jersey’s leading storm recovery firms with over 25 years of experience, and is an authorized Reconstruction, Rehabilitation, Elevation, and Mitigation (RREM) construction company and HMGP contractor. If your reconstruction or home elevation project qualifies for HMGP funding, turn to Penn Jersey and rest assured that your recovery project will be completed quickly, professionally, and in full compliance with HMGP standards and guidelines.